Masaru Matsubara began to study Aikido in 1961 at Hombu Dojo under O-sensei and various instructors including mostly late Kisaburo Osawa shihan, late Doshu Kishoumaru Ueshiba, Koichi Tohei(chief instructor at that time) shihan, late Yamaguchi shihan, Sugano shihan, Ichihashi shihan etc., He then moved to Toronto in 1967. Since then, he taught and practiced with Henry Kono whom he met at Hombu Dojo, and Bill Collins at University Settlement House, in Tanino Judo Club. 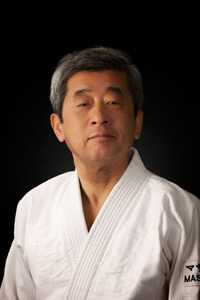 He joined JCCC Aikikai in 1992. His enjoyment of Aikido includes the study of harmonizing with others through Aikido movements. He also enjoys the study of martial arts movements and psychological aspects. He continues to teach what he recalls was taught by O-sensei and various instructors. Before Masaru Matsubara started Aikido, there was always some ailment with his health. Since he started Aikido, his strength and health has, and continues to improve.